The view from the middle of the LA River, near the 6th Street Bridge. 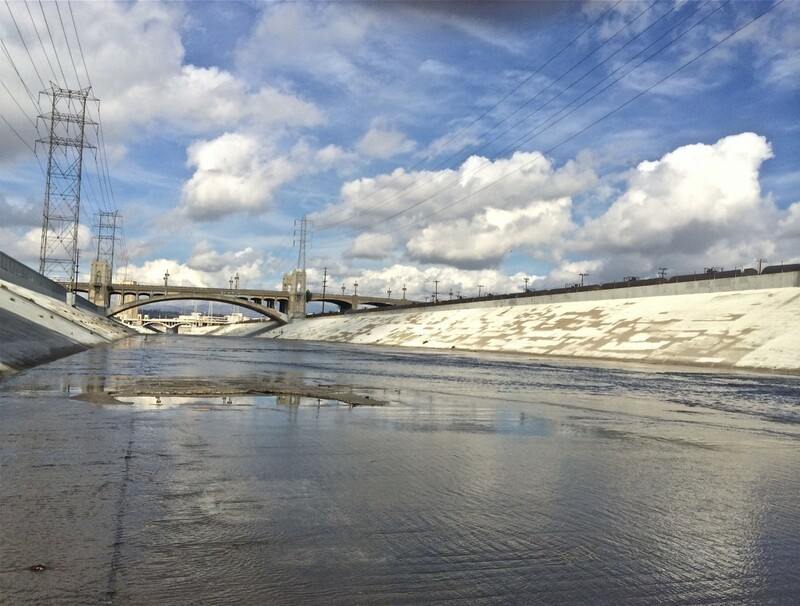 Right now, I’m writing a piece for Architect Magazine on the LA River. It won’t be out for a couple of months, but I thought I’d mention it because it’s tied to pretty much everything that’s been of interest to me in the past couple of years: what it means to be a 21st century city, how undervalued pieces of the urban environment have been reinvented and rehabilitated, and the curiously intertwined evolution of the man made and natural environments. I don’t want to go into too much detail about this, except to say that I really need to spend more time in LA. The transitions that interest me are much closer to the surface there than they are in New York. Or maybe it’s just that I see in LA the tantalizing potential for a newer, better 21st century city to emerge from the 20th century’s worst mistakes. Much more on this subject later. Santiago Calatrava: The World’s Most Hated Architect? And a few for Architect, including a couple of forthcoming pieces and this one about Houston’s struggles to embrace urbanism. More soon.